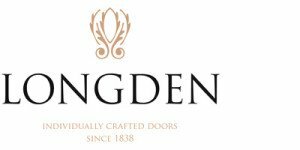 Longden Doors: UK manufacturer of traditionally hand crafted timber doors and ancillary products. To grow sales by £1m (whilst maintaining gross margin) in a business whose turnover had stagnated at £2.8m … the additional sales to be generated by increasing market share in its existing conservation sector and by securing a new pipeline of sales in the interior design sector. Develop strategic B2B relationships with senior interior designer practices. However, our independent assessment based on many years practical proven experience in the B2B sector was that Longden’s existing brand positioning and marketing communications would negate the effectiveness of any sustained sales activity directed at interior designers and generate a poor return on the sales investment with Quantum … something we did not want to put our name to. Following a comprehensive review process, Quantum’s revised instruction was twofold: First, to work with the sales team at the micro level to introduce added value methodologies and tools in its day to day operations to drive immediate sales growth in the existing conservation market. Secondly, at the macro level, to reposition the Brand image and key messaging and develop sales/marketing propositions targeted at interior designers prior to directing sales activity at the sector. Significantly improved profitability for both shareholders and stakeholders. Quantum were invited into the business at Group Board level to work alongside Longden’s small external sales team providing in situ coaching based around real live sales opportunities. At the sales level, a blended support programme of value added selling methodologies; appointment making skills and B2B account development was introduced alongside a pro-active sales activity planning model which significantly increased both the productivity and effectiveness of the team. At the marketing level, customer and stakeholder Insight was captured to objectively build a new integrated brand platform and communications plan. From that Insight we also developed customer specific sales propositions targeted at the interior design market to build customer commitment … the combined result was a solid specification bank; strong conversion rates and higher gross margin. Whilst Quantum’s recommendation to improve the marketing collaterals before focusing sales effort into the interior design led sector caused an initial delay, the results: re-thinking the approach ultimately surpassed the management team’s £1m growth ambition by delivering sales of £4m, improving % gross margin, improving manufacturing contribution and significantly boosting profitability. A job well done by the whole team.